If we are to pile all the coins I’ve spent on toilet stops, I’m pretty sure it could cover – at the very least – a roundtrip ticket to Catanduanes. I wish I could tell you I’m exaggerating, but with how frequent I travel plus the fact that I think I might’ve early onset incontinence, my Roadside Relief Budget is kind of a big deal. Now I don’t mind it, really. I take my renal and urinary well-being seriously, but sometimes, I can’t help but feel ripped off. You know what I’m talking about: you pay five pesos, and you don’t even get a proper tabo. 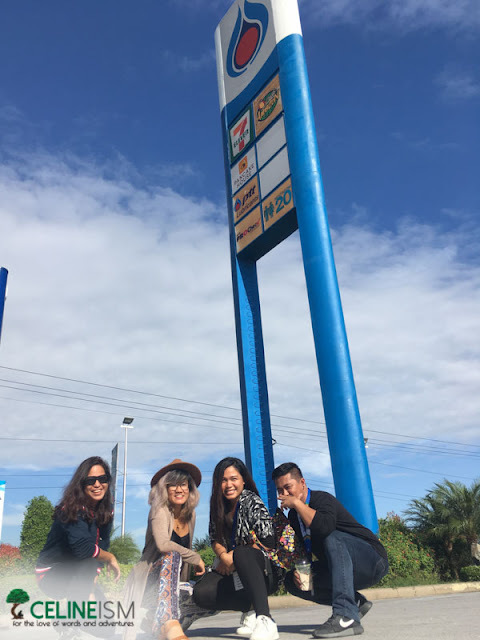 It’s a hit-and-miss, toilet stops. But such is life. I hang in there, however, for I know there will come a time when I will happen upon The Toilet. The Mother of all Roadside Restrooms. The Restroom of All Restrooms. “This is larger than our apartment,” I remarked (with a tinge of harmless bitterness) upon setting foot at PTT’s renowned Restroom 20. 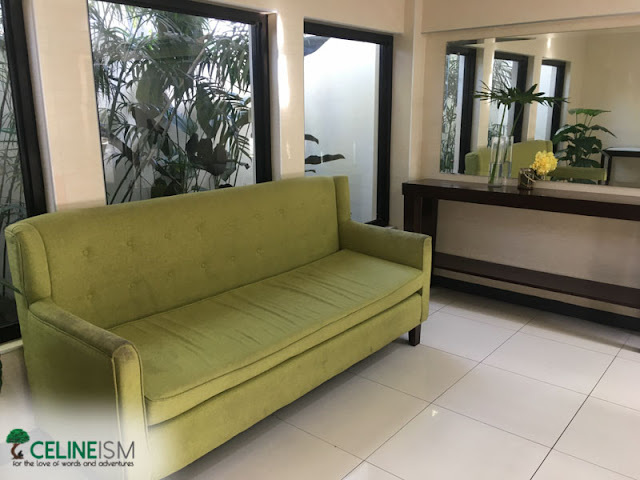 Furnished with a lime green sofa, a gray couch, and a couple of accent chairs, the place felt more like a hotel lounge than a restroom. Each “cubicle” affords a sort of al fresco toilet experience – to one side is a glass wall that looks out into a covey of house plants. There are bidets. The place has its own doorman. A clean, floral aroma wafts in the air. This place could comfortably house a family of four. When can I move in? Restroom 20 is a concept adopted from PTT’s home country Thailand. 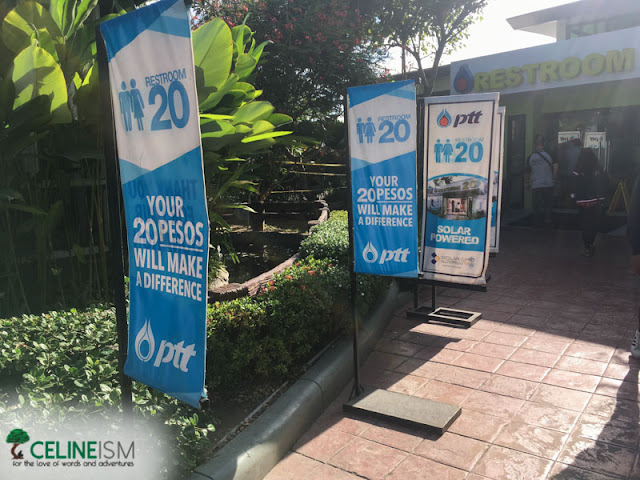 The idea is that patrons are offered a luxurious (bordering on over-the-top) restroom for a 20-peso fee. Yep, that’s a little much, but before you burst your bladder, you should know that the fees collected are directly given to partner charities and communities. For 20 pesos, you get to pee (or poo) comfortably and in style, and you get to also further worthy causes. 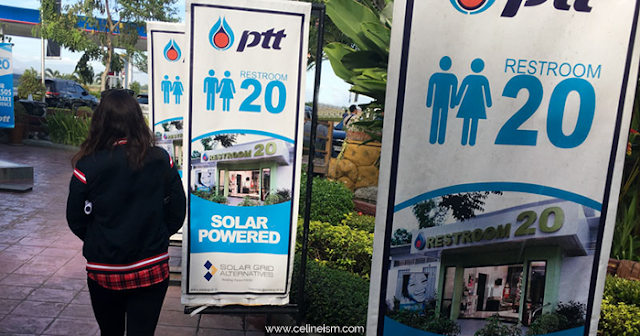 At the moment, PTT has two Restroom 20s in the country. The first one’s in Lucena City in Quezon. 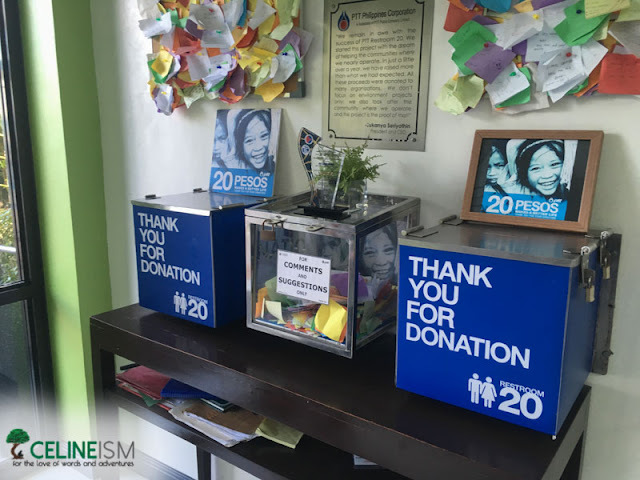 Within the first month of its launch, it was able to raise P100,000 for its partner “Natatanging Sektor ng May Kapansanan sa Lungsod ng Lucena, Inc.” – an organization that promotes and champions PWD welfare. The second one, the one I was able to visit, is located along the Subic-Clark-Tarlac Expressway (SCTEX). 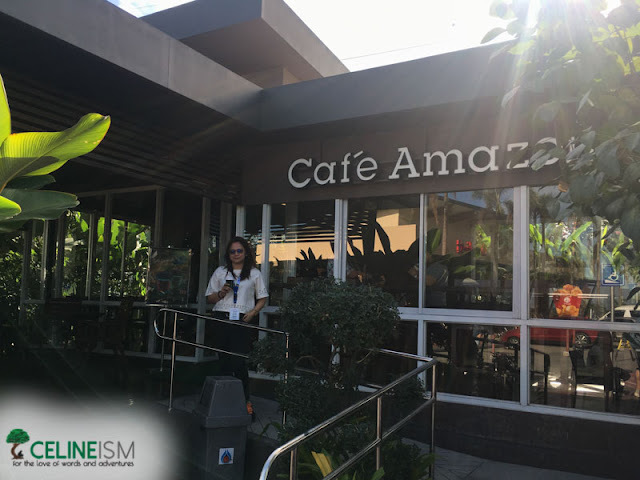 It’s in the largest PTT Station to date which has all sorts of amenities like a minipark and a coffee shop called Cafe Amazon. Oh, and the Restroom 20 here is entirely solar-powered. Should you not have 20 pesos allotted for your bladder break, fret not. The abovementioned PTT stations have an equally-clean-but-not-as-luxurious restroom guests can use for free. Really, though: if we can splurge on things like clothes and shoes, what’s 20 pesos for charity? Where’s the most luxurious toilet you’ve ever been?